Wine styles and tastes exist in a constant state of flux. For the past several years, the big story has been Americans’ gradual movement away from the big, over-oaked and overripe fruit-bomb style of wine. The pendulum of California Chardonnays, for example, seems to be swinging back from the buttery brink and toward a more balanced style. Now, it seems, it’s Champagne’s turn. For far too long now, the focus with Champagne was trained most intensely on its brand image as opposed to on the wine in the bottle. That meant that most people found themselves gravitating toward richer, indeed slightly sweeter styles. 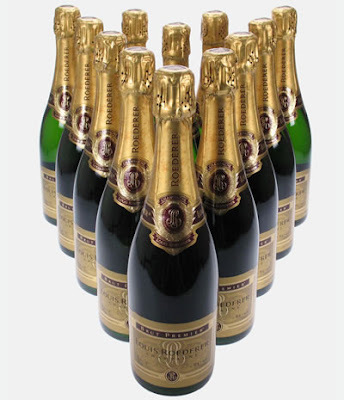 (For a Champagne to be called “Brut,” it can have up to 15 grams per liter of sugar added.) And while the most popular bubblies weren’t (and aren’t) the far sweeter demi-sec bottlings, the average Brut seemed to grow ever softer. Now, however, as more people understand the nuances of this great wine, tastes seem to be shifting a bit (albeit slowly and tentatively) to a drier style. In fact, during my visit to Champagne this past September, hardly a tasting went by without the winemaker or cellar master discussing their generally lower dosage, or, in English, addition of sugar. When the fruit is ripe and blended well, and not obscured by too much sugar, this allows the terroir to shine through more clearly--typically that beautiful sense of minerality that sets great Champagne apart. This is a bold move, but ultimately, I think, a smart one: It will introduce consumers to a style that expresses the fruit and the land more completely, and should lead to more well-informed, smarter buyers...which is good for business.